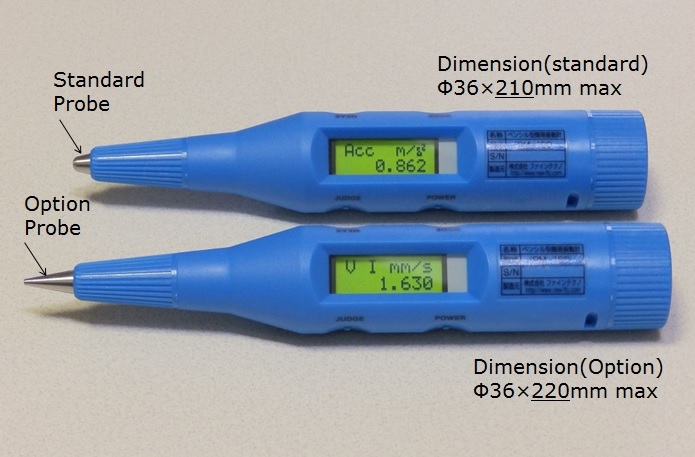 It is a small Pen-type Vibration Meter(iPM-100) for facility diagnosis conforming to ISO 10816-3 standard. A "Goodness" of the bearing by the velocity rms is instantaneously represented by the LED color of four stages as shown in Figure 1. 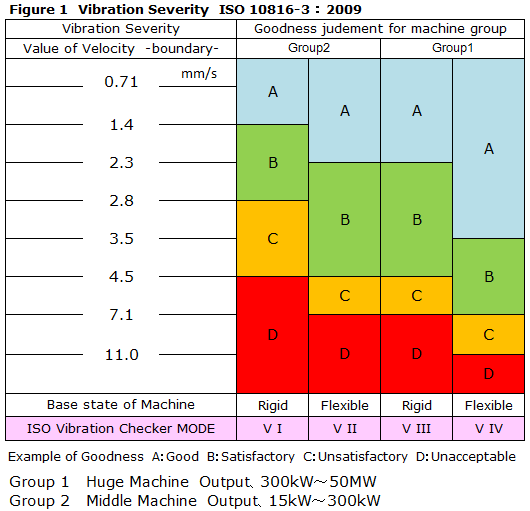 A machine should also be devided into 4-MODE(VI～VIV ; pink colored) in a Vibration Checker. It gives you a quick judgement and will achieve an effective maintenance as a screening device. In addition, a best-5 frequency analysis result of both acceleration and velocity help you with judgement of a misalignment of machine.